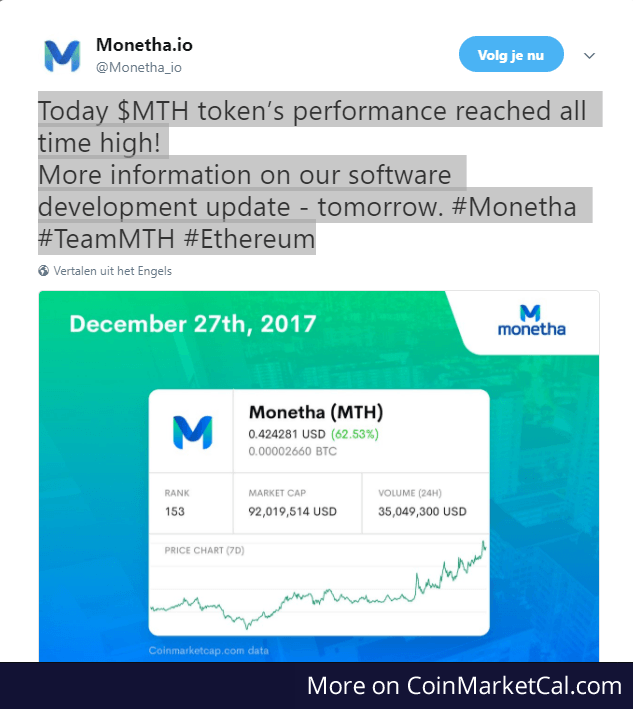 Monetha (MTH) - Events, Price, Market Cap, Supply, Exchanges and more! 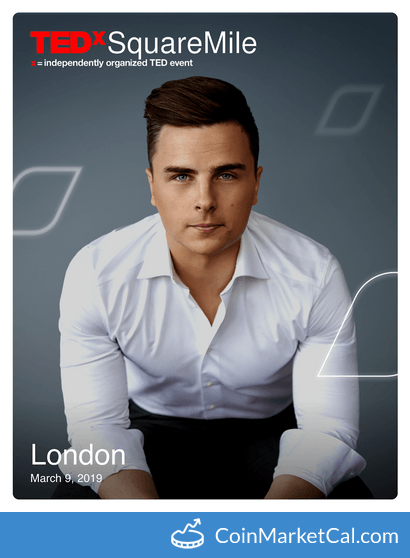 TEDx talk with Monetha’s co-founder Justas Pikelis. 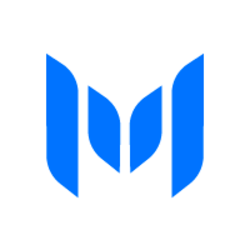 "A Monetha Wallet for clients + Loyalty program + Significant improvement of decentralized trust and reputation algorithm," in Q4 2018. 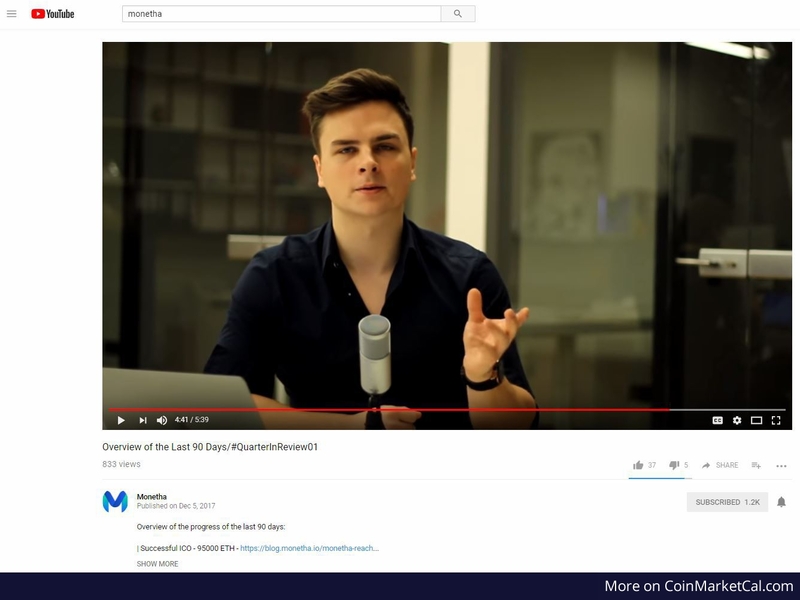 "Get excited for the public release of Monetha’s app at the end of June. " 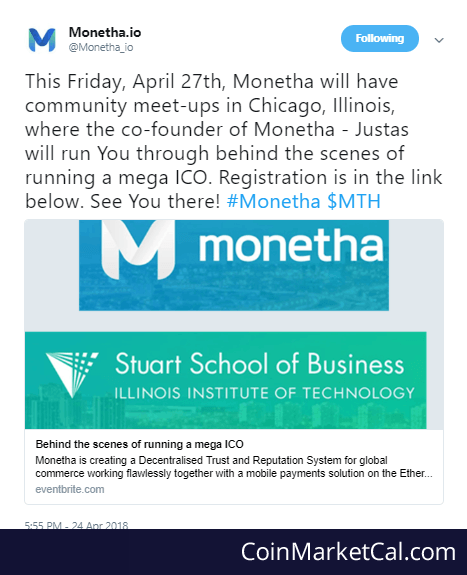 On the 27th of April, Monetha will have community meet-ups in Chicago, Illinois. 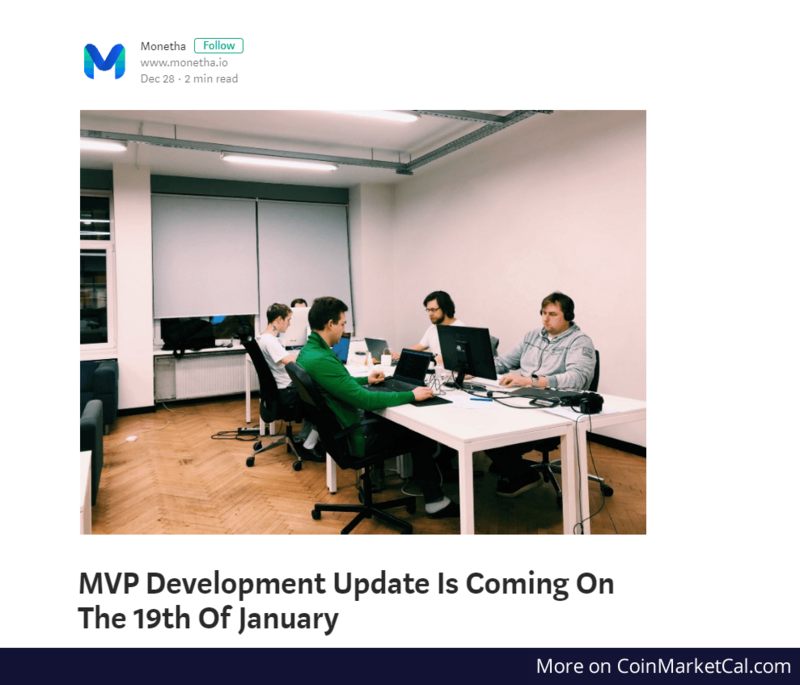 "The first product version will be release on the 31st of March". Check the source for proof. 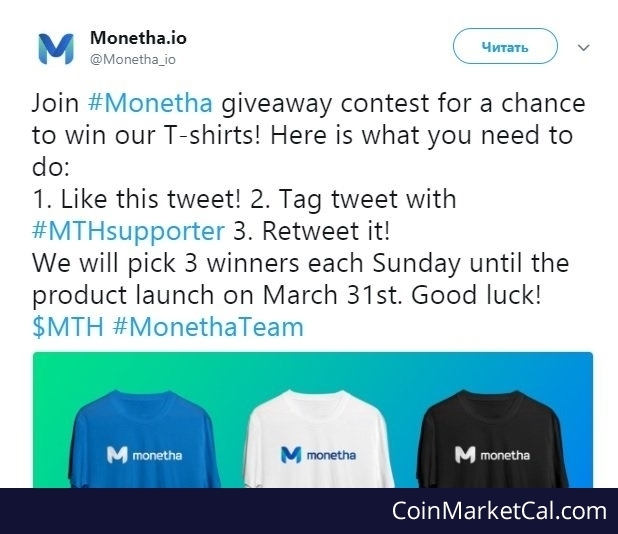 Three winners for Monetha giveaway contest, for a chance to win Monetha t-shirts, picked every Sunday until product launch on March 31st.